As the Australian Competition & Consumer Commission tells us, curtains and blinds that have long cords can pose a serious risk for children. In particular, they can serve as a strangulation hazard when the cords are not properly secured. With that in mind, residents and property owners have a serious obligation to ensure that any blinds installed on the premises are not placing young residents at risk. In particular, these updated regulations require that the cord must be accompanied by a cord guide, (or wall cleat), that remains firmly attached to the wall. This cord guide/cleat should keep the cord from being pulled free and should prevent the formation of a 220mm loop at a height less than 1.6m above the floor level. We take child safety seriously at Buy Blinds Online. We understand that our clients and customers feel the same way and that is why we have gone out of our way to ensure that our corded products are both child-friendly and easy to secure. 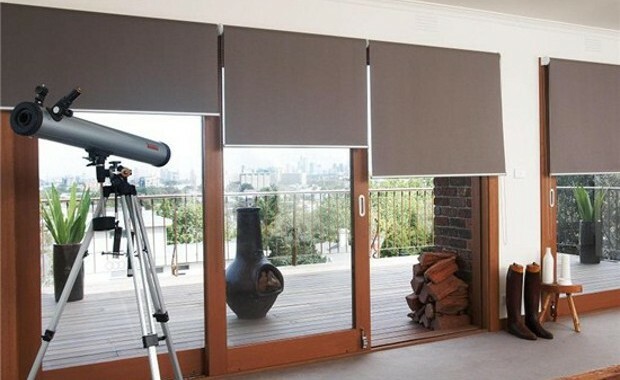 For example our roller blinds are fitted with cord-retaining devices to dramatically reduce the risk of strangulation. There are several steps we have taken to ensure that our corded products are safe. To begin with, all of our products are supplied with child safety devices, (where applicable). Our factory also conducts monthly, documented audits of our packing processes to ensure that cord safety devices are despatched with every products we sell. When you purchase blinds through our company we provide you with detailed instructions so you can easily install your blinds and make them safe for children in the home. Keep furniture away from blinds so that children cannot climb upon the furniture to pull a cord free. Never place playpens or cribs within reach of corded blinds. Check every room for corded blinds and curtains, and ensure that none of the cords are looped or loose enough for a child to play with. When necessary, look into wall-mounted cleats that can be used to secure cords out of reach of young children. If you are unsure of the child-safe rating of a particular product, please don’t hesitate to get in touch with us. We’ll walk you through the steps that you can take to secure your cords and offer insight into the steps we’ve taken to make our products safer. Your windows serve to bring the outdoors in. They flood your home with natural light and provide views to the outside. But lots of glass in the walls of your home can also create problems – not least of which is the transfer of heat into and out of the house. Blinds provide outstanding light and heat regulation, enable complete privacy and are easily maintained, plus they’re available in an amazing array of colours, designs and varieties, such as Venetian, Roman, Roller and Panel, to suit the design considerations of all homes.